What are the core services provided at the Chapel Hill Family Doctors? What are the bulk billing services of doctors in Chapel Hill Family Doctors? The male and female general practitioner doctors in Chapel Hill Family Doctors provide their 100% bulk billing services if the patient is registered under Medicare, Veteran care, has a pension card or any other health care card. The services of bulk billing doctors mean that 100% coverage of the treatment is given to the patient and practically the patient is not required to pay a hefty sum of money. How do the doctors perform in case of medical emergencies and accidents? The patient of a medical emergency or accident is attended and treated at top priority; while the appointments made by other patients are put on hold until a replacement is provided. In some cases the appointments might also be cancelled depending on the availability of the concerned doctor. How are the appointments booked? 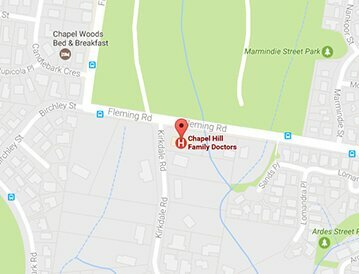 Fill an online form available on http://www.chapelhillfamilydoctors.com.au/.